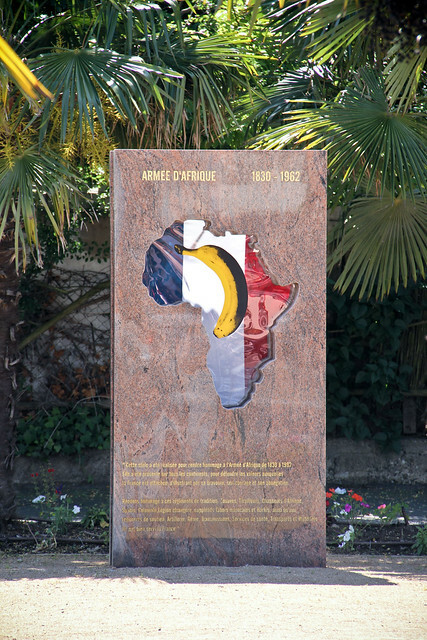 This memorial that is supposed to honour black soldiers, who fought under the French flag between 1830 and 1962 is situated in a remote park in Toulouse, France. Located between railway tracks, a supermarket and a parking lot it is a transit spot, where passers–by hurry along with full grocery bags or where they take their dogs for a walk around the stinking curbs. I consider the location and the very existence of this memorial as a mockery of black people. Let’s not forget that France used soldiers of African heritage to conquer new colonies. History shows that the goals of European powers were often in contrast to the interests of black people. Even today France asserts its imperial goals all over the world and sometimes not just by peaceful means. Scarred souls of the inhabitants of post–colonial countries or today’s French immigration policy clearly prove, that the time of colonialism is not yet over. Present–day colonialism is more of a cultural nature, but for that, not less dangerous. Today’s Europe with its problematic immigration laws often perceives immigrants as exotic fruit, that brings us from faraway places a culture more colourful than our own. I think this simplistic attitude towards other cultures is as xenophobic and potentially dangerous as open racism. 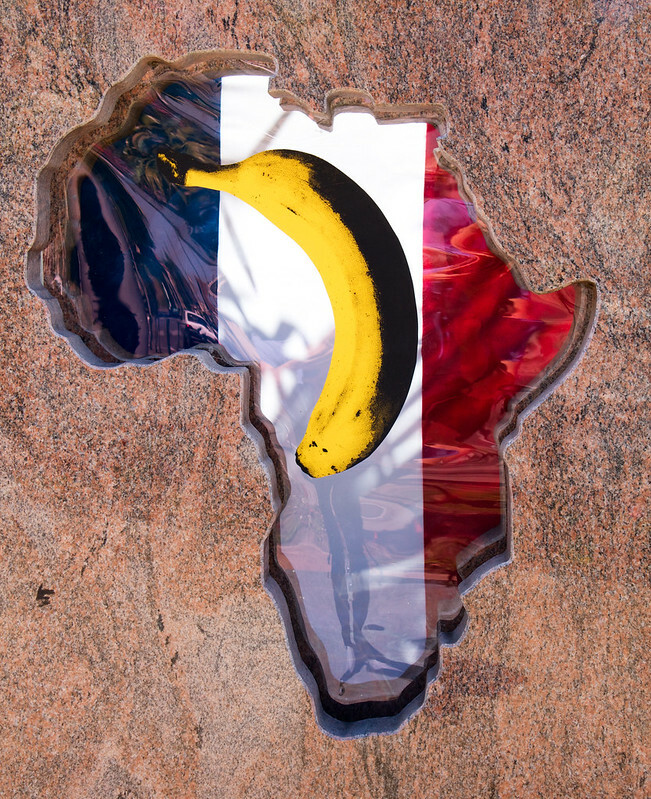 My “Banana memorial” is an artistic metaphor of how the strongly nationalistic French society views other races. Its title is derived from the expression “banana republic”.